I heard this song for the first time four years ago. Almost exactly four years ago. This beautiful song that makes me cry. and I, I want to be where You are..."
I heard it in a desperate hill country, in a place filled with violence and poverty. Filled with beautiful people, amazing mountains, and incredible culture (along with some questionable food). 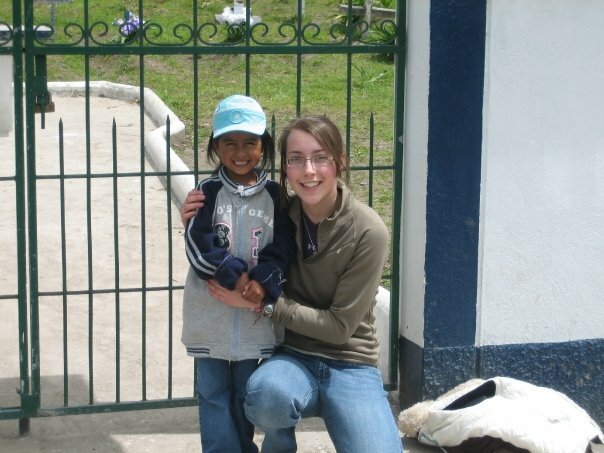 A country with Erica Lisbeth, this darling girl pictured above, who lives in Imbabura province in Ecuador and attends a Christian & Missionary Alliance church. 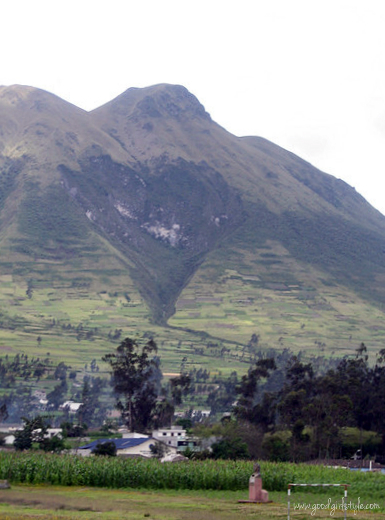 The very same Imbabura where the Otavalo natives were unreached and unfriendly to the Gospel. Until God called Evelyn Rychner. God called Evelyn and gave her a heart for Imbabura. A big heart like the one carved into the mountains there by two landslides. Art at the hand of God is visible all over this place; in piles of spices in the markets, in the strains of familiar worship songs sung in the Quicheau language, and in the smile of a little girl who took her favorite sparkly sticker off her Bible, ripped it in half, and stuck the other half on my Bible. Like Evelyn and so many before her and after her, God calls us to places on His heart, and writes them on our hearts. He has rescued us. How can we not share that? See it's this reciprocal thing. When we call, He answers us. And when He calls, I sure hope we answer Him yes. No matter how weak we feel in the moment. He will give us the heart for it. 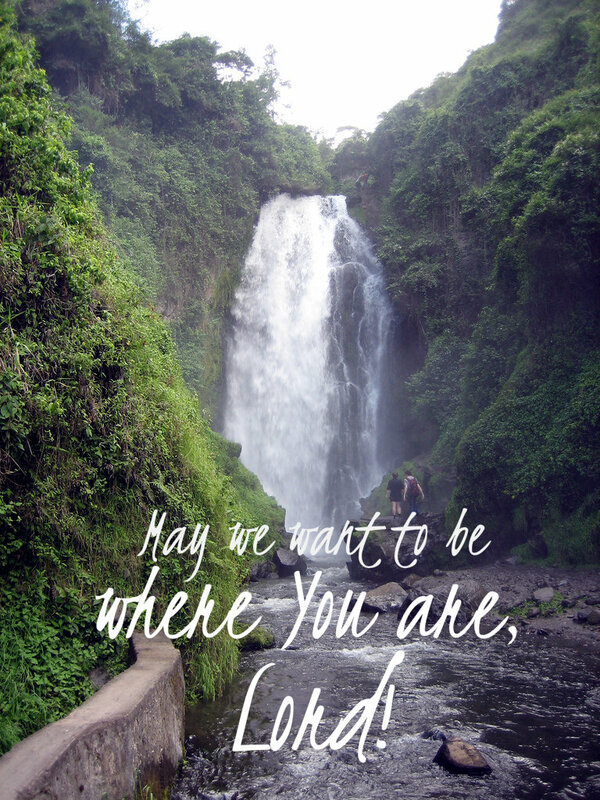 May we want to be where You are, Lord. Have you sought God's "travel plans" lately? Where is He that He wants you alongside Him? Your own home? Downtown in your city? Or maybe even halfway around the world? Goodness. I'm trying so hard to hard to answer this question, as I feel like I'm supposed to be in Uganda this time next year. That's a really scary answer to the travel question for me, but I'm doing my best to be faithful to His call for me and my family! Thanks for making me face my fears!! He called me to Minnesota and here I am...it's always a challenge but always a joy to listen to God's whisper calling us where He wants us to go. I do pray that I will answer him with a "yes" every time He calls me. Beautiful post, Natalie! Cate!! Wow. I totally understand. I wrote this post for myself, because I'm facing the scary travel question too. It is so many of my fears right now, so I totally understand. Praying for direction for ya! Ha, one of my friends said the exact same thing :-) I have a few thoughts on the subject...maybe another post! In the meantime, definitely day trips! Your lovely family, church, community, and friends are all wonderful sorts of places for God to work through you :-) And I know He does!